Our vision to be the leader on the level of government and Egypt to introduce and add of new and unique medical services for our Egyptian community population with Educational and training services for our student in faculty of medicine and other faculties internally and externally and communication with these faculties. These services must be achieve the best level of quality to be member JCIA with continuous improvement in deferent departments and services introduced by hospital and communication in the future with medical and hospital centers in the world to be one of them nearly. The mission of OSUH is introduction of high level quality Educational and training services for the students of medical and different faculties in university and preventive and therapeutic services for different levels of our community population with aiding in community development of employees skills through application of quality programmers and it's improvement with ideal use of human and financial resources. 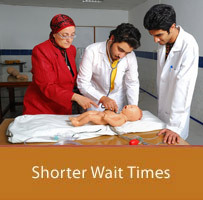 1- Introduction of unique and excellent preventive, therapeutic and medical services for all Egyptian Community population ,Arabic and Foreigners with safety and high level of quality all over the year. 2- Introduction of Educational, Training, and Therapeutic services for all students in our university. 3- Communication and complete organization with the Faculties of medicine in 6th October university and other universities inside and outside Egypt. 4- Communication with medical centers and hospitals locally and globally . 5- Addition of new services for citizens. 6- Continues renewal of the devices and instruments within hospital. 7- Construction & of specialized medical centers within hospital to introduce unique and excellent services.